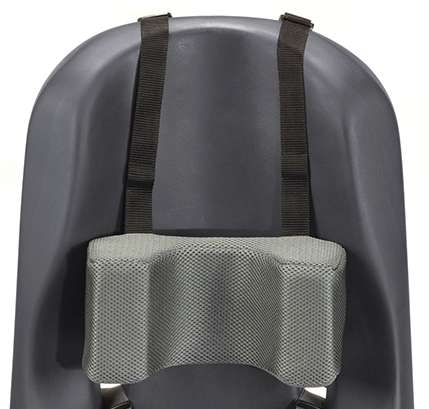 NOTE: The Head Support is recommended for use with Size 2, 3, 4 & 5 Sitters only. This optional headrest is made of soft, latex-free, seamless woven mesh that contours to the head and provides lateral support. The attachment straps for the headrest must go through the shoulder strap holes to work. This limit the height adjustability of the headrest.